and get valuable community feedback and play-testing. You are aged 13 or older. 16 years or older if you live in the EU. Any files you download from this Website you do "At your own Risk"
The Webmasters, Staff, and Contributing Authors of this Website are not responsible for what you do with any downloaded file or from any harm to you or your device that may result from use of this Website or its files. You understand that your rights to use and/or view this Website are a privilege and violation of this websites Terms Of Service may result in (restricted access or blocked access) and that this action may be (temporarily or permanent). You also acknowledge that this action and may take place without any prior notice or warning to you, the user. You agree to have no formal relationship with this Website and will use this Website for the purposes of downloading and/or upload user created DG2 maps, user created screenshots, public comments and map voting. FOREVER FREE MAPS - are for creators who just wish to share their creation with the community and will not be submitted to the Steams Workshop for sale consideration by Hidden Path. NOTE: If you submit your map to Steams Workshop you, the user, must first remove it from our Website. - Download at your own risk. Affiliated in any way with Hidden Path, Steam or Valve. regarding your use of this Website and any of its contents. 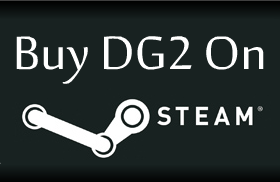 We hope you enjoy all the Defense Grid 2 free maps on our site and check by regularly to see whats new.